88Office is a service office Jakarta with free flow self service of coffee and tea. You can make tea or coffee as much as you want in the pantry that provided by us. Pantry is made as neat and comfortable as possible, so you can make coffee and tea according to your taste. Sugar and Creamer are available to added to your coffee or tea. 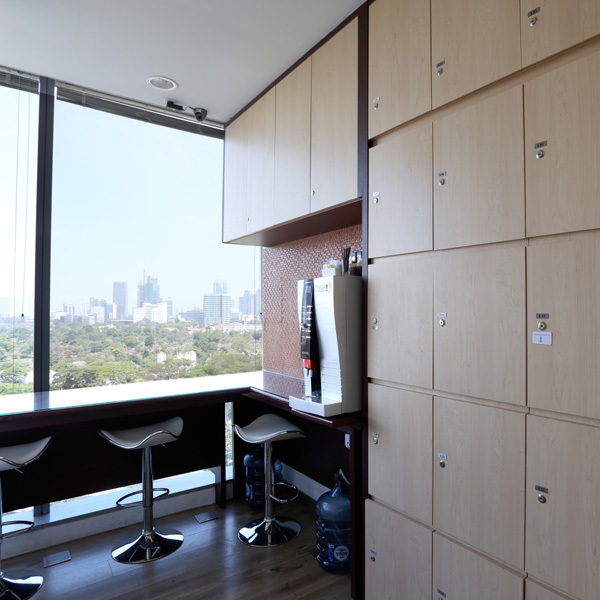 You can also take a break at the pantry to enjoy views of the city. 88Office located in Jalan Kasablanka South Jakarta, located in central business area. Connecting with Kota Kasablanka Mall.